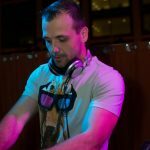 DJ Andrey, has been a DJ in Washington DC area for over 10 years, starting in 2004, just for fun at friend's parties Then he was introduced to some promoters which started his club work in 2007. 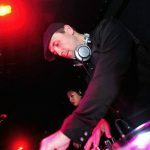 Originally hailing from Belarus, Andrey became a staple in the DC Club scene – a normal entry into the world of music here. 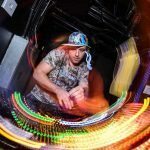 With residencies and performances at some of the best clubs, including Capitale, Cities, District, Eden, Flash, Fur, Gazuza, Ibiza, Josephine, Lima, Living Room, Masa 14, Muse, Opera, Ozio, The Park, Sax, Slaviya, Toro Toro, and Ultrabar he tapped into the most current and progressive styles of music today. 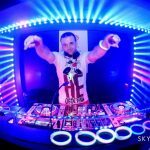 He has also shared the stage with some of the biggest names in the EDM industry including Bobina, BT, D:Fuse, Darude, DJ Grad, DJ Korean, Doc Martin, Donald Glaude, Enur, Global Deejays, Harry Romero, Jonathan Peters, Junkie XL, Oliver Moldan, Oscar G, Stan Kolev, Starkillers, Stonebridge and Yves Larock. 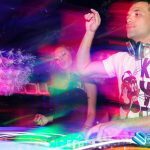 Andrey’s unique style ranges from vocal and commercial Deep House to energy packed Progressive / Electro club sets! All this formed him for his launch into the private sector. By happenstance eight years into his career Andrey launched into the private sector with a simple request from a friend to cover the music for his wedding. In turn, this led to more weddings, birthdays, schools and corporate events and he’s never looked back. His professional growth has been fueled by word of mouth. Andrey is not limited to any genre or style of play. 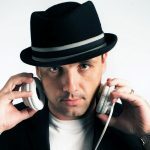 He’s as at home with classic rock to hip hop and Latin as he is with EDM. Being bi-lingual enables Andrey to bring in the memories and music of home for some of clients while introducing their friends to a new cultural experience for others. You’re as likely to cross paths with him at a wedding as you are institutions such as the International Club, the French Embassy or even at large holiday events at the area’s top hotels. His easy going listening nature makes him popular and is the key to his success. 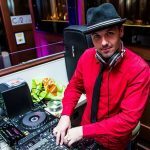 Always early, on time and ready to go with a smile let DJ Andrey light up your party with his dynamic flair. What is the date of your next event? Comments/Suggestions : Andrey was excellent. He played a good variety of family friendly music that everyone enjoyed. He even had a little dance party in front of him. I would definitely hire him to come back at our next Fall Festival and for other school events in the future! My fiance and I approached our wedding music very seriously – we wanted to dance throughout the night, and we wanted to make sure all our guests had a chance to dance and have fun. Ours was a multicultural, multi-generational wedding that brought together recent, first and second-generation Russian- Americans along with our American co-workers and friends. It was important for us to find a DJ who would be able to cater to the interests of this diverse group. We approached Andrey given his experience with Russian parties and explained to him that we wanted our parents, relatives and friends on the dance floor enjoying themselves. 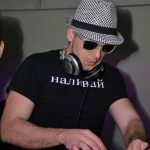 Andrey was open to us providing him with our own music list, which had American Top 40, Russian pop, some older Soviet songs and Latin music selections. We were confident knowing that our own music election and Andrey’s professionalism would make for a great combination – and were were certainly not disappointed! We had guests on the dance floor all night long, everyone had a blast, and my fiance and I were asked repeatedly “where we found such a good DJ?” Andrey brought his professional equipment – lights, speakers- which made for a truly unforgettable night. Our gusts still tell us how much fun they had at our wedding! Thank you, Andrey and Co.!